My fitness journey began at age 10. I grew up being competitive and was passionate about competitive sports. I wanted to be the best at soccer, football, baseball, track and field, and more. While driving home one day from football, I passed a martial arts school and decided to join at age 11. I became well-conditioned, strong, and maintained a serious training regimen. As my training and sparring progressed, I became obsessed with conditioning my body. I love full-contact sports, but my martial arts club only allowed minimal contact. I took a break from martial arts and stepped down to a brown belt level, much to the dismay of my martial arts coach, to explore a sport that enveloped full contact. I was 14 years old, 5-foot-7, 130 pounds, compact, and quick. I joined a summer football league and excelled beyond expectations. Upon completion of the season, my coach suggested that I add mass to see how I performed with more weight. 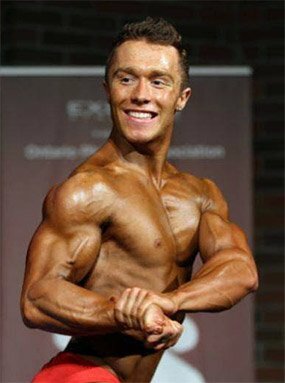 I started a vigorous gym training schedule, watched numerous workouts and Bodybuilding.com videos, and became obsessed with bodybuilding. Aside from the hard work Brandon puts into the gym, he spends quality time with his family hunting, fishing, and camping! I became friends with a personal trainer at the gym who helped me with lifting, cardio, and dieting. He was a sports trainer for years and offered to help me achieve my goal. To have the form and technique I longed for, I started from the basics. There is no greater feeling than being a "potter" and moulding my body into perfection. "Fitness can be used to turn stress or negativity into positive energy." I love being active, especially when the results pay dividends. I used to watch athletes on television and the Internet and admired how they looked. Through hard work and dedication, the sky&apos;s the limit. Fitness can be used to turn stress or negativity into positive energy. It benefits general health, which is a bonus. I maintain a busy schedule and utilize my day to the fullest potential. Bodybuilding provides "me time" and gives my body a temporary release of the unlimited energy that&apos;s bottled inside me. I idolize Shawn Ray&apos;s symmetry. He&apos;s an underrated bodybuilder who never gave up. I admire his no-quit attitude and his quest for perfection. I went to different gyms, talked to bodybuilders, and read books. I always watched bodybuilding videos and professional bodybuilding events. I learned about their workout regimens and applied their professionalism to my workouts. "I plan to gain size and thickness and build on my symmetry." I plan to gain size and thickness and build on my symmetry. I&apos;m going to compete in future shows also. I would like to model sportswear, endorse supplements, and coach future bodybuilders. 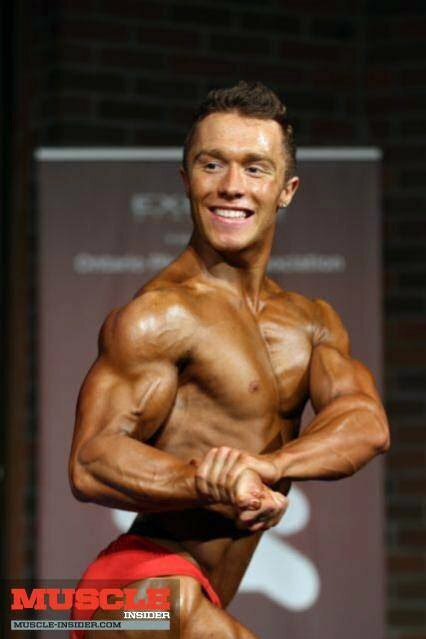 I will become a professional bodybuilder and strive to be the best! Have an open mind. You can gather good tips and information from people to create your own workout. Form and technique are vital. When you master form and technique, you&apos;ll develop your fullest potential. Be one with the mind and body to push past your limits like you never thought possible. The mind is a powerful tool that can be harnessed. No matter your size, height, or weight, drive and ambition will drive you to achieve anything. The person most willing to push the limits will be the true champion. Flex Wheeler, Shawn Ray, Dorian Yates, Lee Priest, and Franco Columbu are my favorite competitors. 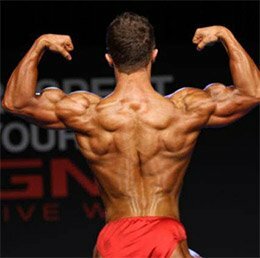 I watched lots of Bodybuilding.com videos and read many articles that made me a more knowledgeable bodybuilder. I also watch many motivational videos to pump me up before the gym and developed a great understanding about nutritional facts and diet plans thanks to Bodybuilding.com. George went from wanting a six pack more than anything to firmly believing that he can build a body worthy of the Olympia stage. Get the plans that fuel his tenacious work ethic!